NO FFL DEALER CAN SELL OR GIVE POSSESSION OR CONTROL OF *ANY* FIREARM TO ANY PERSON UNDER 21. Exceptions exist for persons 18 or older who are military, police officers, or have a valid hunting license. and comparably licensed persons or entities in other countries. 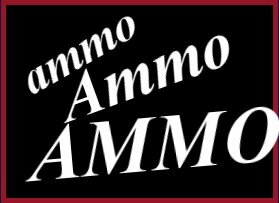 We carry A-Zoom Snap-Caps - most calibers and gauges - just ask! - Hogue rubber grips. Specialty grips can be supplied. We maintain a small selection of magazines. and will gladly special order for you. - We have AR parts! - Call us for availability and prices on NEW and USED safes. Turn YOUR guns into cash! Copyright (c) 2008 - 2018 Gunrunners AEGIS GROUP INC www.gunrunnerstactical.com All rights reserved.